Rev Doug is known for providing a very personalized and meaningful ceremony. This is made possible by our Ceremony Planning Sessions. 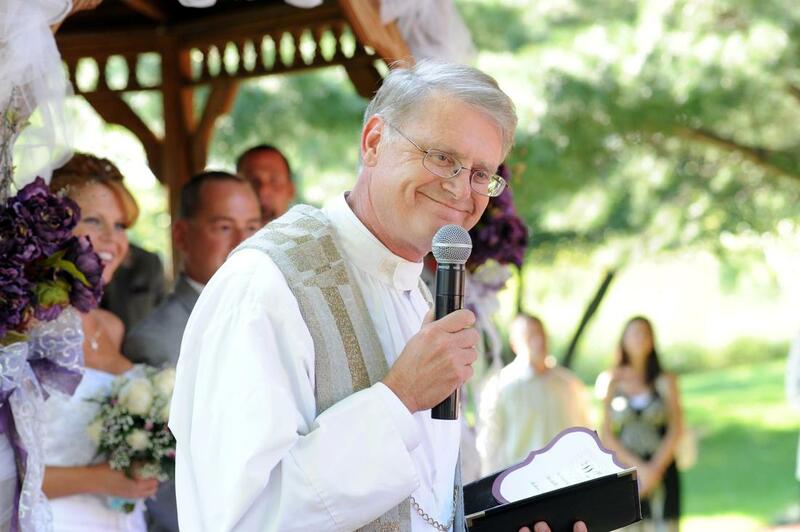 In this meeting we combine Rev Doug's 33+ years of real ministry experience with your unique vision and personalities, to create a beautiful engaging ceremony that honors your beliefs and makes each and every one of your guests feel included in your celebration. When you meet with us, we will walk you through the entire ceremony from beginning to end, including the layout of your venue and where everyone will stand, allowing you to customize and tailor all of the details to your liking. Because we have been to nearly every NWI venue and know these layouts well, we will also be able to walk you through a simulated wedding rehearsal right here in our office. ​We have many wonderful ceremony ideas to start with, and we love hearing all of your own unique ideas too. This is your day - we want your ceremony to be a true reflection of the love you share with each other. Even if you are not looking for a completely customized ceremony, this meeting is very beneficial because knowing how your ceremony will unfold helps relieve a good deal of pre-wedding stress. You will leave this thorough and detailed meeting feeling so comfortable and knowledgeable about your ceremony that you will be fully equipped to guide your wedding party through a rehearsal. After the Ceremony Planning Session, about 90% of our couples choose to do just that. Our Ceremony Planning Sessions take about 60 minutes, and are usually held on Sunday mornings between our regular church services. Like us on Facebook for planning tips, recent photos, contests, giveaways, and more! "We were able to meet prior to the wedding and discuss the format, tailor the religious/spiritual level, and include customized vows. Rev. Klukken did a nice job offering up suggestions and helping me design our ceremony." Read these and other reviews on WeddingWire! A lot goes into planning a wedding. While we can't help with the entirety of your big day, the Ceremony Planning Session will help to ensure that you are calm and prepared for the beautiful ceremony you and your guests will experience.